Aoife Scott is an award winning folk singer and songwriter based in Dublin, Ireland. 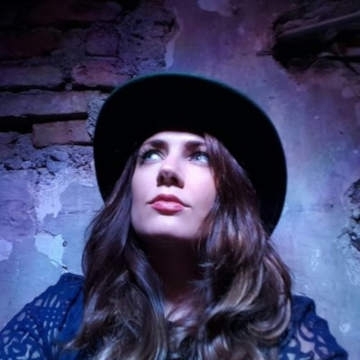 Born into the legendary Black family, Aoife is steadily rising to the top of the traditional and folk music scene, and has long enjoyed success as an established artist in her own right. Fragile and ethereal one minute and strong and vibrant the next, her dynamic and profound vocals explore the emotional depths of her lyrics, leaving the audience entranced. Aoife has a dynamic and profound sound, Her music has a broad creative scope but is largely influenced by her own roots in folk and traditional Irish music. Accolades in 2018 include being named Best Folk Act at the Irish Post Music Awards (IRE), beating stiff competition in the category with the legendary Christy Moore, Dublin folk band Lankumas well as Limerick singer Emma Langford. She also claimed the award of Emerging Artist of the Year at the Live Ireland Awards (US) in June 2018. Aoife’s debut album, “Carry the Day”, was reviewed with resounding praise. The Irish Times (IRE) quoted it as a “richly layered impressive debut album”. Folk World (EU) hailed her for “her beautiful crystal clear warm vocals. Stylistically she successfully bridges Irish trad, contemporary singer songwriter and Pop”. The Irish Echo (US) described it as “an important instalment in the legacy of traditional Irish music”. She is currently working with multicultural group Radiant Arcadia and has just completed an extensive tour with them in Denmark. With newly recorded material on the way, dates in the diary for some of the largest worldwide festivals and her “HomeBird Tour”, 2019 is shaping up to be perhaps the best year yet for this passionate young musician.